LK Pestaway has many years of mole catching experience, from small front lawns to large areas of farmland, council parks, cemeteries and golf courses. 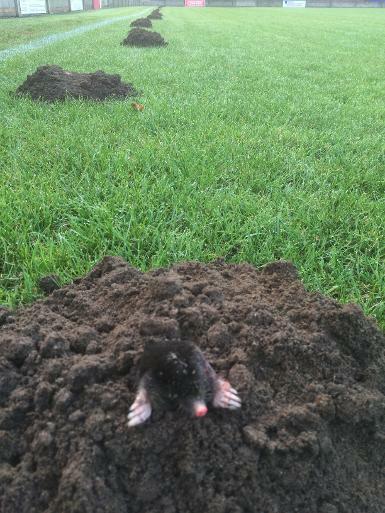 Moles can spoil lawns with there unsightly hills and tunnelling, which damages the roots of young plants and exposes stones and debris that can damage blades of grass cutting machinery. These factors are costly to gardeners and businesses that rely on their grounds, lawns, greens or gardens. Professional removal of moles involves catching them in humane traps. This is the most effective and humane method of control when applied by one of our specially trained technicians.